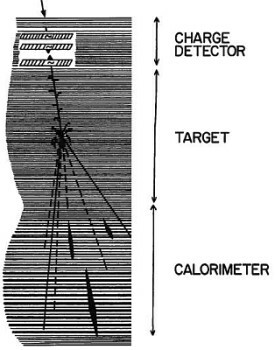 The balloon, was launched by dynamic method on December 22, 1994 from McMurdo Station, and after a nominal ascent to float altitude it started a counter clockwise turn around the south pole. 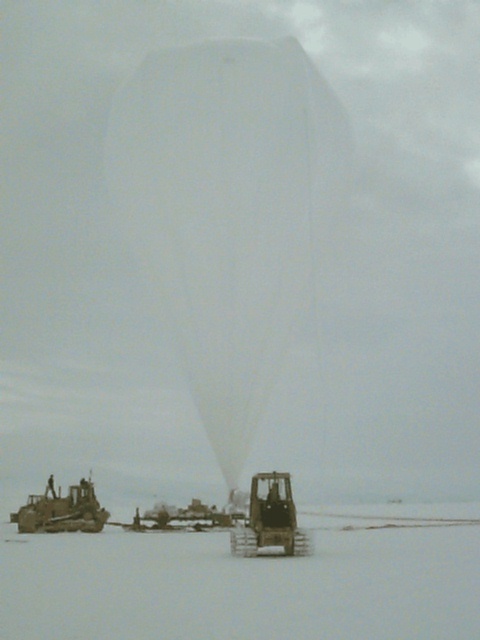 The balloon made one full revolution of Antarctica at an altitude of 131,000 feet. The balloon and payload were brought down by radio control from an ski-equipped Hercules LC-130 plane, on January 3 1995. At that time the LC-130 was unable to land and recover the payload due to ground fog in the landing area. On January 8 weather had improved and a second LC-130 was sent into the area but when they attempted to land they found the hard snow surface unsafe due to high, hard mounds of snow called sasturgi. Two days later a Twin Otter plane attempted to land in the same area with the same results. The next try was made by helicopters from the U.S. Navy's Antarctic Development Squadron (VXE) 6 which traveled twice the normal range to perform the recovery. 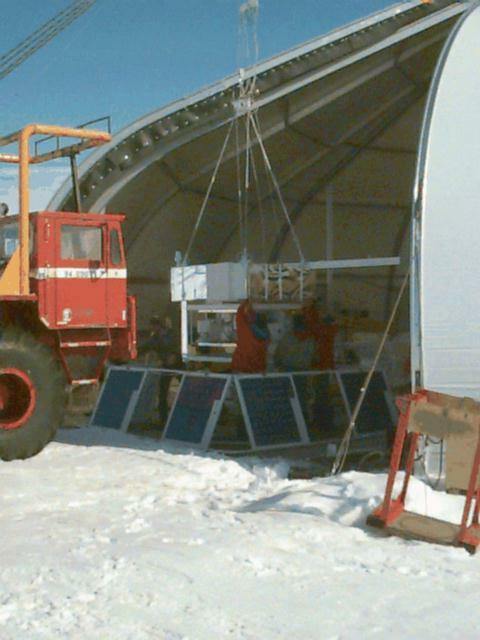 Working in close coordination with the Italian Antarctic Program they were able to use fuel that was already in place on the Antarctic Plateau for refueling. After almost four hours of flying across the near featureless terrain of the Polar Plateau, the crews arrived at the site around noon. The site was at a pressure altitude of 8,800 feet which made more difficult the task. 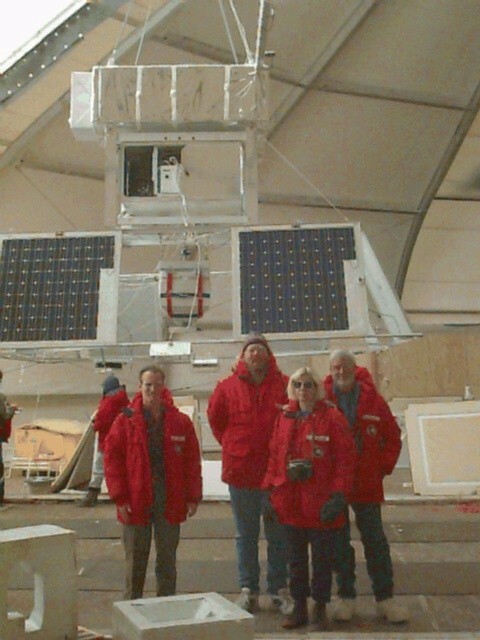 The payload, weighing almost 3 tons, had to be disassembled before being transported back to McMurdo. The helicopters' crews, along with Steven Peterzen, from NSBF where in charge of the task. Woking in harsh environment conditions and suffering symptoms of "altitude sickness" in four hours they had broken everything down and wrestled with the 600-pound parachute that had been filled by driven snow and was pulling them around in the 25 mile per hour winds. After that the two helicopters took two loads each down to a lower altitude place suitable for the landing of the Twin Otter plane. 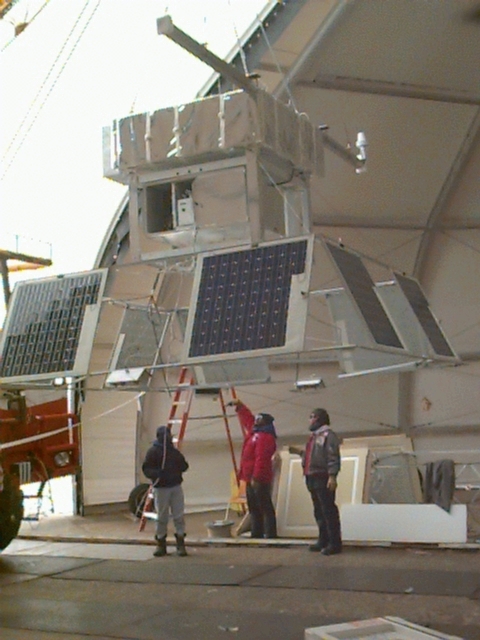 Finally the disassembled payload and parachute were back to McMurdo Station. After pumping fuel again for the return trip the helicopters returned to McMurdo with the rest of the scientific equipment 15 hours later. 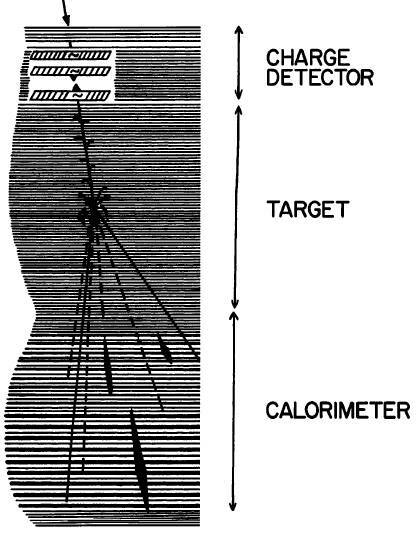 JACEE-13 was one of the most succesful missions of the program logging 304 hours at float altitude.